[UPDATE 5/5/2107, 5:40 pm EST] A mid-June memorial is being planned to celebrate Diane Lewis’s life in architecture, art, and literature. Additional details will be released at www.dianelewisarchitect.com as plans are finalized. [UPDATE 5/2/2107, 12:25 pm EST] This article has been updated to include a statement from Nader Tehrani, dean of the Irwin S. Chanin School of Architecture of the Cooper Union. Diane Lewis, recipient of the 1976 Rome Architecture Prize in Architecture and the 2008 Smithsonian Cooper Hewitt National Design Award, passed away this morning. She was a prominent figure in the contemporary New York architecture scene and distinguished tenured professor at the Cooper Union. Lewis founded her eponymous firm in her native New York City in 1983 after working in the offices of Richard Meier, I.M. Pei and Partners, and Jim Freed, leading projects such as the Jacob Javits Convention Center, MIT Center for Arts and Media, and 499 Park Avenue. 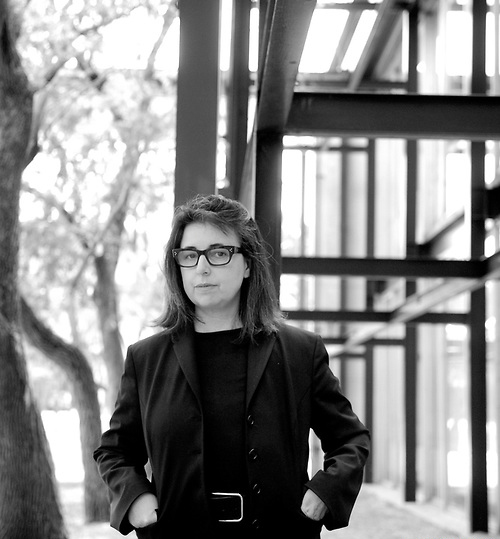 Her firm’s projects include the 2006 residence for the dean of the Columbia University Graduate School of Architecture, Planning, and Preservation, the Perlman Conservatory and campus for Paul Rudolph’s Riverview High School in Sarasota, Florida, the Gauchos Basketball Foundation in Harlem, New York, and the HCK Charter School in San Antonio, Texas, as well as art galleries such as Kent Fine Art, Paul Kasmin, Claude Bernard, American Fine Art, and SPOT. She received a Knoll International Modern Main Street award in conjunction with World Monuments fund for the master plan for Riverview High School. In 1982 she was the first woman architect appointed to the full-time faculty at the Cooper Union and also served on many university faculties including Yale, Harvard Graduate School of Design, the Technical University of Berlin, the Architectural Association in London, the University of Edinburgh, and the University of Nebraska-Lincoln. She co-edited the Education of an Architect, a book on the work of Cooper Union from 1975 to 1982; in 1989 she received a Graham Foundation grant for her lectures and essays on architecture and surrealism. She was also the task force director of the Urban Institute at the Cooper Union. In addition to this, Lewis also taught at the Pratt Institute in New York. There she taught undergraduate architecture students, working as a visiting professor. After 25 years of independent architecture practice, a monograph was published of her work, entitled DIANE LEWIS: INSIDE-OUT: Architecture New York City in 2007. Her drawings of plans for the Astor Place parking site and others can be found in the Museum of Modern Art permanent collection. Diane Lewis came to The Cooper Union as a student in the Art School in 1968, transferring to Architecture in 1970, and completing her studies in 1976. Immediately upon graduation, she was awarded the Rome Prize in Architecture, making her one of the youngest members to be honored by the American Academy in Rome. Upon her return to the United States, Lewis joined the offices of Richard Meier and Partners and later, I. M. Pei and Partners where she received her early training—this, while also launching her teaching career. Initially a professor at the University of Virginia, Lewis went on to teach as a visitor in many respected programs including Yale University, the Technical University of Berlin, the Harvard Graduate School of Design, and the University of Toronto, where she held the Frank Gehry Visiting Chair in 2006. But it was here at The Irwin S. Chanin School of Architecture that she planted her foundations as a radical and committed educator; Lewis was the first woman architect to be appointed to the full-time faculty, and later tenured in 1993. In an age when few dedicate themselves to teaching as a craft, her focus on creating a transformative space of learning will be a central part of her lasting legacy. Indeed, as much as Lewis was a product of Cooper Union, today we can look back at more than thirty years of her contributions and come to realize that we are, in fact, defined by the culture of her teaching. As a practicing architect, Lewis set up her own office in 1983 under the banner of Diane Lewis Architects PC, and she has since led a focused and critical practice concentrating on competitions, urbanism, and built projects known for their exquisite refinement in both plan and detailing. Of those projects, the Studiolo for Colomina and Wigley, the Mews project for Professor Dworkin, and the Kent Gallery all demonstrate the nuance and skill that Lewis brought to her sense of materiality, figuration, and occasion. With a protean intellectual profile, Lewis’s work spoke to the panoramic range she held within her scope; a writer, designer, film-maker, and urbanist, Lewis brought passion to her many activities, often synthesizing her investigations into the many publications she edited and authored. Her most recent book, including the work of several generations of students, Open City: Existential Urbanity is one such example, featuring not only her written work, but also her research on Neo-realist cinema, the role of the civic institution on the making of urbanity, and even book design as a central part of its argument. The practice of Diane Lewis served as a conduit for her inter-disciplinary interests, and she seamlessly navigated between professional practice, scholarly work, and her teaching projects as part of a larger commitment to the discipline. Naturally, as co-editor of the Education of an Architect, Lewis shared a vision about how the commitment to teaching was also part of a social contract to give back to society in productive ways. Exhibited widely, including at the Cooper Hewitt Museum, the Van Alen Institute, and the Galerie Aedes in Berlin, Lewis also gained many accolades such as the John Q. Hejduk Award and nominations for the National Design Award from the Cooper Hewitt and the Daimler Chrysler Award. Diane Lewis was widely recognized as a consummate architect and professor. Loved by students, respected by professional colleagues and debated by academic peers, Lewis defined architecture with equal parts passion and erudition. In recent years, her Design IV urbanism studio was known for its often twelve-hour long final reviews—each one of them a marathon discussion of critical precision and clarified architectural thought. On a more intimate note, I can only say that I will personally miss Diane dearly, most especially the tenacity with which she engaged in fierce architectural debate. Diane’s persevering intellect and commitment to leadership were so ever-present in the School, I can only imagine that both John Hejduk and Anthony Vidler felt her almighty strength in the administration of the school. She led the school symbolically, and when things did not go her way, she led a parallel school of thought alongside the very deans that gave rise to her platform. Her agency represents the very ethos of the key protagonists that a school would want inside its walls. She had a voice, she used it, and she led with it.